IS OTTERBOX WORTH $2.5 BILLION? Otterbox, The maker of iPhone covers has hired Goldman Sachs to explore a potential sale. Otter Products LLC, based in Fort Collins, Colorado makes the wildly popular Otterbox, a protective case for smartphones. The cases, which protect touch screen wireless devices are known for being the toughest on the market and are the top-selling protective case in the United States and Canada. Established in 1998 and founded by Curt Richardson, the company is privately held and is owned by him and his family. Otter Products employs more than 800 people in the United States, Ireland and Hong Kong. Richardson originally came up with the idea for the product while researching a waterproof case. His wife later named it Otterbox. Industry sources have indicated the company is preparing itself for a potential sale by hiring the services of investment banking giant Goldman Sachs. It has been rumored that Goldman values the company at $2.5 billion. Thus far, there are no indications of potential suitors, though several private equity firms are reported to be interested. Is Otterbox worth $2.5 billion? The company has been a juggernaut, posting three year revenue growth of 455 percent and earning itself a place on Inc. magazine’s annual ranking of the world’s fastest-growing companies. Moody’s Investors Service reported the company had $925 million in sales in 2013. Though no sale appears imminent it will be interesting to watch as other valuations have skyrocketed in the consumer electronics sector resulting is huge private for private equity firms. One example is the Carlyle Group’s $500 million investment in Beats Electronics, known for its Beats by Dre Headphones, which they sold 10 months later to Apple for almost double their original investment. GoPro, which raised $427 million in an IPO earlier this year also is also valued at over $3 billion. Otter Products themselves acquired LifeProof, a San Diego based rival smartphone case maker in 2013 for an undisclosed amount. While the consumer electronics industry has been booming of late, it will be ultimately up to potential private equity suitors to determine that valuation of Otter Products. Goldman seems to believe that this company will be the next one make headlines with another hefty price tag. In our Investment Banking Training Course, our students learn how to value corporations using 3 strategies: 1) the income approach; 2) the market approach and 3) the asset approach. 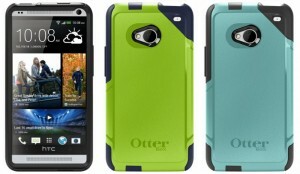 Otterbox is rumored to be woth $2.5 billion and has hired Goldman Sachs to explore a sale.